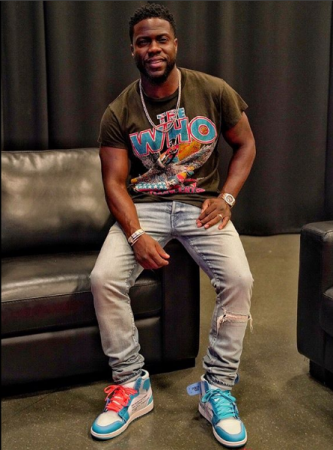 Kevin Hart is not apologizing for his tweets because he claims that he is a changed man. A day after the official announcement that Kevin Hart will be taking up hosting duties for the 2019 Oscars, controversy has struck the comedian. Tweets Hart made as early as 2009 have re-surfaced. Hart hasn't exactly been coy about his comedic gay bashing, though we believe it has always been in poor taste, it is surprising how the tweets are causing a furore a decade after they were made. We mean the tweets were there all these years and no one had an issue with them. And now all of a sudden everybody has an issue with them. We're simply asking, why wasn't Kevin Hart taken to task the moment he tweeted something homophobic. He has had a meteoric rise in Hollywood in the past decade while continuing to rely on low-brow comedy. Kevin Hart is not apologizing for his tweets because he claims that he is a changed man. He is ready to give up the hosting gig too. "I just got a call from the Academy and that call basically said, 'Kevin, apologize for your tweets of old or we're going to have to move on to find another host,' talking about the tweets from 2009, 2010," Hart said in a video posted to Instagram. "I chose to pass, I passed on the apology. The reason why I've passed is that I've addressed it several times." In the video, Hart criticized "internet trolls" for digging up his old tweets and said, "The same energy that went into finding those old tweets is the same energy that could have been put into finding the response to the questions that have been asked years after years." "My team calls me, 'Oh my God, Kevin, the world is upset about tweets you did years ago," Hart says in a black-and-white video posted to Instagram. "Guys, I'm almost 40 years old. If you don't believe people change, grow as they get older, I don't know what to tell you. If you want to hold people in a position where they always have to justify their past, then do you. I'm the wrong guy, man. I'm in a great place, a great mature place, where all I do is spread positivity." He signed off by saying, "Regardless, the Academy, I'm thankful and appreciative of the opportunity. If it goes away, no harm, no foul." Kevin Hart seems to be taking quite the combative high road here. We think, that if he truly had changed, another apology wouldn't be too much of an imposition as the Oscars gig will most likely expand the comedian's reach to a whole new audience. So introducing him a new crowd as a changed man isn't an unreasonable request we think.